The bible for anyone looking to boost their vocabulary in a few short weeks. Use this book to improve your knowledge of the English language through short and interesting lessons. With over 300 five star reviews on Amazon, this is a must for any competitive exam aspirant with a verbal ability section. Barron’s Essential Words for the GRE, authored by Philip Geer, is a comprehensive book for students preparing for the Graduate Record Examinations (GRE). 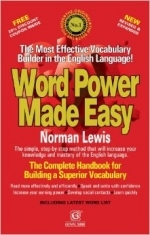 It comprises of extensive sentence-completion exercises with answers. It also consists of a diagnostic pretest to help you measure the strength of your current vocabulary. 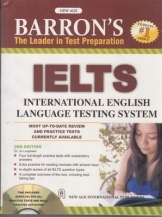 The book contains a review of all the IELTS question types along with 4 mock tests. The accompanying CD comes with audio components for the four tests. 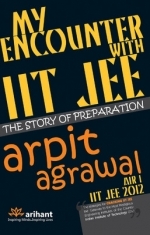 This unique book recounts the tale of author as he narrates his JEE experience as well tips for the exam and preparation. A useful book to get into the right mind set when preparing for & giving the IIT JEE. 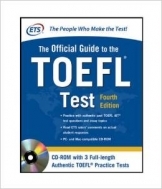 The Official Guide to TOEFL, a test used to gauge applicant’s knowledge of English for entry into US and Canadian universities. 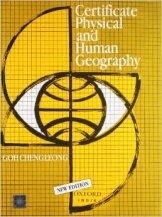 The book contains 3 mock papers. While the CD contains some sample speaking, the speaking test component is lacking. In addition to RD Sharma’s book on Mathematics, this book can be used as a supplementary question bank for preparation of the Maths portion of the IIT JEE. 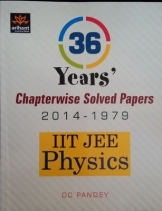 A powerful question for the physics portion of the JEE, students are recommended to go for this book for chapterwise solutions of all JEE physics questions from the last 36 years. 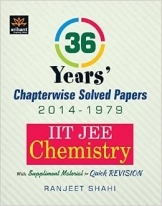 Part of a three book series by Arihant, this books contains chapter wise solved question of the IIT JEE exam’s chemistry section for the last 36 year (1979-2014). It covers the entire syllabus for the JEE. A useful question bank for students to practice and cement their understanding. 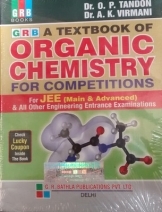 OP Tandon’s and AK Virman’s Textbook of Organic Chemistry helps students understand the concepts of organic chemistry better. It features an in depth explanation of the concepts and practice questions in multiple formats It is a must have for JEE & PMT exam takers.